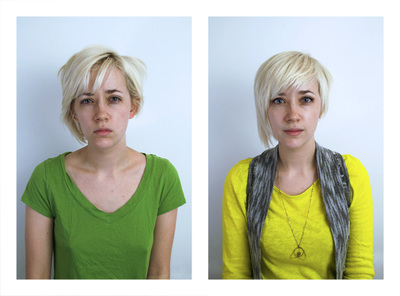 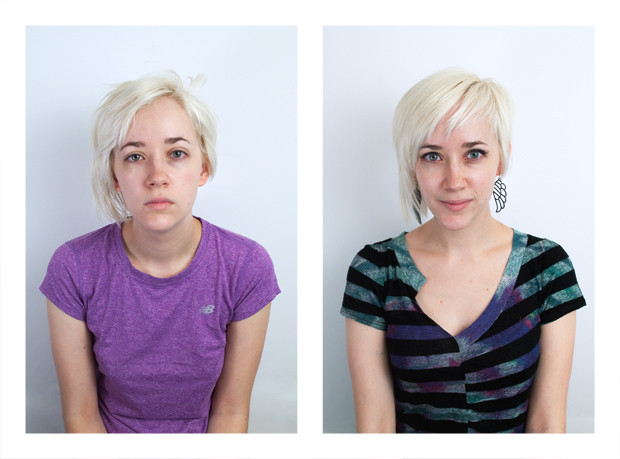 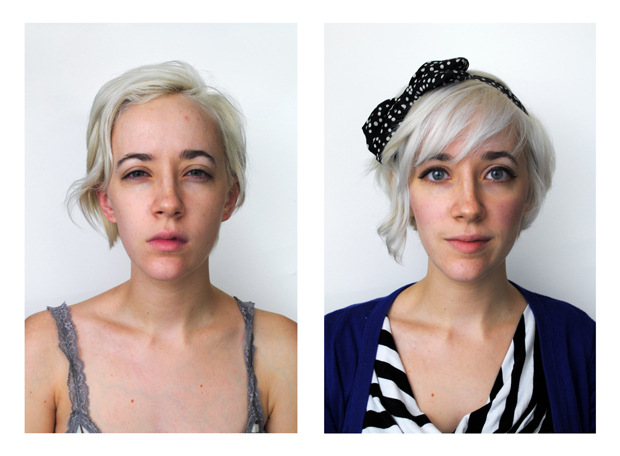 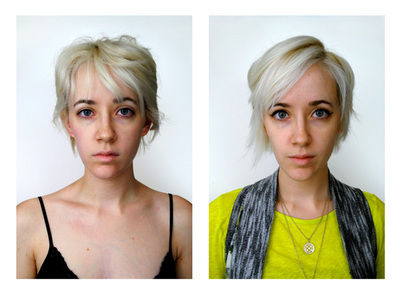 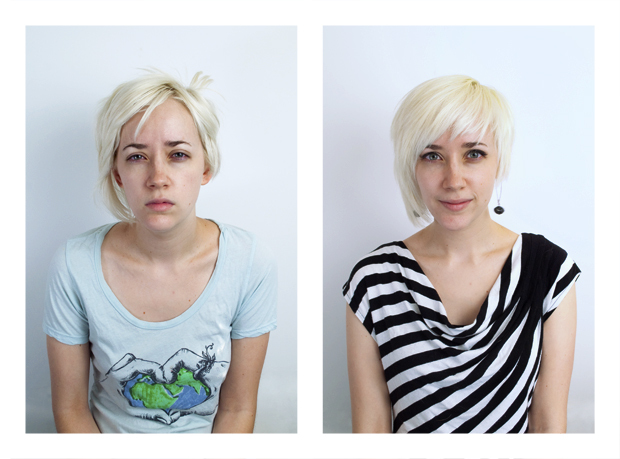 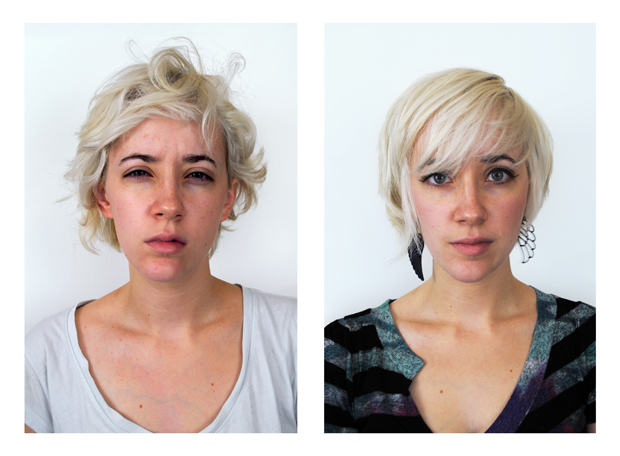 This project documents my daily transformation (over the course of thirty days) into the person I consider to be ‘Mel.’ In each pair of images, the image on the left was taken immediately upon waking each morning, taken before I really had a concept of my own entity or self-image. The picture on the right of each pair was taken after I began to feel that my exterior reflected my self-conception‒ that I look like who I believe ‘Mel’ is. This project is repeated when I no longer consider the ‘Mel’ on the right to represent who I believe ‘Mel’ is in the present.